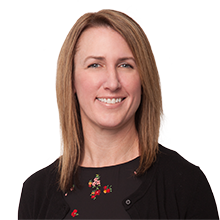 Welcoming new patients! Now offering online scheduling. Help us support Boys and Girls Club of Metro Denver. We are offering $50 off of treatment with the donation of art supplies from our wish list: • Packs of Markers • Boxes of Crayons • Paint Sets • Brush Sets • Construction Paper • Craft Kits • Coloring Books • Glue, Tape & Scissors • Craft Boxes Call us to come in today! If tomorrow works better, please try our convenient online scheduling button. 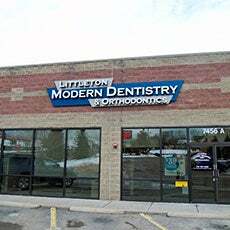 Littleton Modern Dentistry, located in the Meadows Shopping Center in the Ken Caryl neighborhood of Littleton, makes your smile a priority and wants to serve your entire families' dental needs. 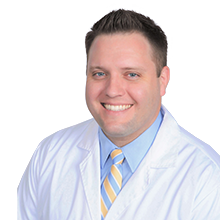 Dr. Jonathan Cano and our entire Littleton Modern Dentistry team are dedicated to providing you with compassionate care. Littleton Modern Dentistry offers options to optimize your oral health in Ken Caryl Valley. Conveniently located in the Meadows Shopping Center, our office is just east of C-470 on the corner of Ken Caryl and Simms, a short drive from 285, Lockheed Martin and minutes from Chatfield High School. Whether it's general dentistry, periodontics or oral surgery, our team is committed to your dental health. 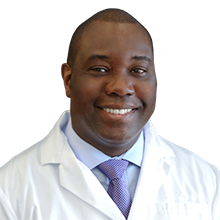 We provide modern techniques including CEREC single-visit crowns, digital X-rays and records, same-day treatment, emergency dentistry, professional teeth whitening, porcelain veneers, tooth bonding, white fillings, crowns and implants. Our dental office staff will work with you to maximize your insurance benefits and provide affordable payment options. Call us to come in now! Or book your appointment online with our convenient scheduler. We believe in supporting our community. We are proud to sponsor Chatfield High School Wish Week and collect donations for the Boys and Girls Club of Metro Denver. Please like our Facebook page to follow what we are up to and see how you can save money on dentistry by helping local charities too.